Joseph Mallozzi's Weblog: What’s going on with your feet? What’s going on with your feet? Next Article Out and About – The Toronto Edition! What a spoiled little girl! How wonderful. She has some great parents now making up for lost time. I could watch this every day! Meanwhile, I don’t have a clue what’s going on with little Miss Suji’s feet? after standing on them all day and well into the night! to watch any of the newer web series. You will love NatGeo’s “MARS”. about the first colonists surviving in an alien environment. just so you can find out what happens in the next episode. so if you’ve not yet seen season 1 – have at it, eh! 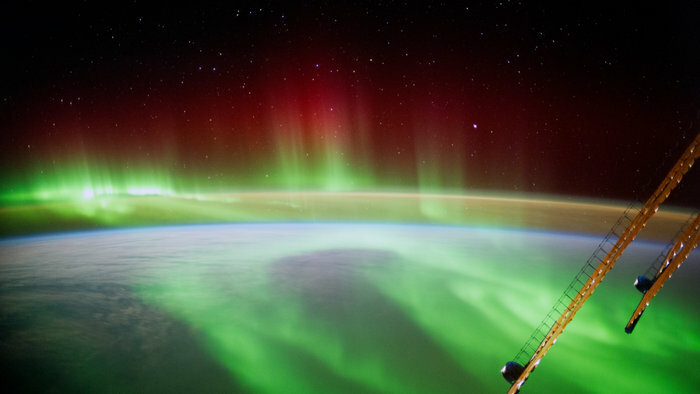 of an aurora captured in space. So, what was going on with her feet? We need to know! Drat! The photo won’t load. This morning’s Dream Theatre presentation had me in the in the Bridge Studios typing pool, assigned to translate multiple portions of an SG-1 script into Spanish. At the end of my shift. From a previous draft, in which the scriptwriter had confused Spanish with French, which I don’t read /write /speak. With hundreds of pages of resource material in three languages. Including prop documents for closeups. Having to set up my own computer workstation. Interrupted by writers, producers, and directors checking on my progress. Fortunately, you were in the background, vouching for me with your colleagues and providing psychic moral support.